Warning: Contains spoilers for Uncharted 4: A Thief’s End. Sound familiar? These are the words spoken by actor Todd Stashwick in the very first teaser trailer for Uncharted 4 (simply referred to as Uncharted PS4 at the time), which aired during Sony’s PlayStation 4 launch event in New York way back in November 2013. 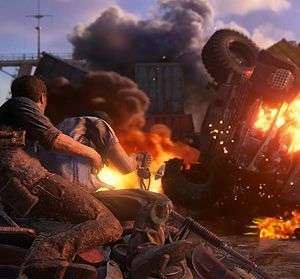 While the cryptic minute-long teaser wasn’t exactly giving away too many details about the game, not even so far as confirming the return of lead Nathan Drake, it was revealed by Sony that series writer and creative director Amy Hennig and Uncharted 3’s game director Justin Richmond were back at the helm for the then-untitled fourth instalment. However, just a few months later both had left their roles at developer Naughty Dog, Hennig being snapped up by EA to head-up a brand new Star Wars game at Visceral, and Richmond joining League Of Legends outfit Riot Games. 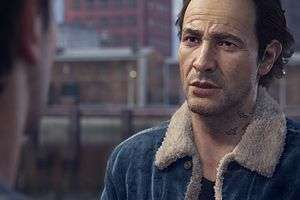 In their stead to take over Uncharted 4’s development were The Last Of Us creative duo Neil Druckmann and Bruce Straley, who ended up pitching an entirely new story to the team. In doing so, eight months’ of work reportedly had to be scrapped, Stashwick’s role was recast, and an unknown number of other actors, including Alan Tudyk, walked away from the project due to “weird changes” with the script. Whatever those “weird changes” were, they didn’t seem to have a negative impact on the game, from my point of view. Having finished it three times now, there’s no denying Uncharted 4: A Thief’s End is nothing short of another bona fide masterpiece from Naughty Dog. Granted, some may not have taken a liking to Nate’s long-lost brother Sam, some may be disappointed with the game’s relative shortage of screen-bursting set-pieces, and some may not agree with the story’s change of tack from a breakneck rollercoaster ride to a somewhat slower and more measured pace. Some of these are issues I too personally had with the game during my initial hours of play, but was soon won over by the top-notch quality of the more character-driven plot. And, after reaching the end credits and able to see the bigger picture, I conceded this was indeed the right direction for Nathan Drake’s big send-off to take. Nevertheless, I regularly wondered to myself throughout my time playing Uncharted 4: what would it have been like had Amy Hennig remained in control? There are certain aspects of the final game which survived the story’s major revision. The premise of chasing after pirates, specifically Henry Avery, the King of Pirates, had been settled on long before Druckmann and Straley took over, and due to the way games are developed there were set-pieces and characters already in place which were repurposed into the new story (although which ones are unclear, but you can probably hazard a good guess – that car chase was just too damn good to simply throw out). But other than that, however nonspecific that is, we may never know for sure what exactly the esteemed game developer’s vision for Uncharted 4 originally was. Would it have been more set-piece driven adventure, comparable to Uncharted 2 and 3? Would fan favourites Chloe Frazer and Charlie Cutter have had a more starring role rather than a fleeting mention? Would Uncharted 4 really be the final Uncharted? There is something we can confidently deduce from the teaser trailer and some titbits of news regarding the behind-the-scenes changes, though, something which would send major shockwaves through Uncharted 4’s story. We know it was Troy Baker who took over Todd Stashwick’s role in the game, meaning it is indeed Sam Drake sounding rather miffed in the teaser trailer. While in the final game Sam wasn’t entirely honest with his younger brother, he was very much on the good guys’ side. You always suspect he has his own secret agenda and could turn on Nate at any moment, but he never does. It would appear, though, that the elder Drake brother was intended to play a more antagonistic role in Hennig’s version of the story, if not the antagonist, and this makes for some juicy speculation about how things could have panned out if that had remained the case. 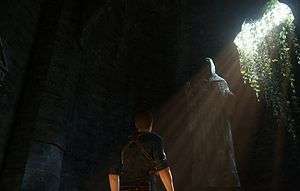 However Hennig’s and Druckmann’s scripts varied, Sam’s dialogue in the teaser still works in the context of the final game, suggesting he was always destined to be locked up one way or another. “I lost fifteen years buried alive” would obviously refer to the amount of time Sam spent banged up in Panama, where Nate presumed his older sibling had been killed during the prologue’s jailbreak sequence (a sly nod to the first game’s “You obviously haven’t been in a Panamanian jail” line). But where things look to differ are in Sam’s feelings towards his younger brother. In the Uncharted 4 we know, Nate desperately tried to save his brother, and Sam knows he did and would have come back for him had he known he was still alive. In contrast, it sounds as if Stashwick’s Sam was less forgiving and would have grown bitter resentment towards Nate for being left behind. “You left me rotting in that hellhole and never looked back”. It’s those last three words which are particularly interesting. Could Nate have knowingly left his brother in order to save his own skin? He was a younger, more naive and less experienced action-man at the time, so fear, arrogance, or even greed might have coerced him into turning his back on Sam. Alternatively, it could just be that Sam one way or another feels betrayed and is understandably pretty pissed off for spending a decade and a half behind bars whilst his brother was free to gallivant around the world. He might just want to take it out on someone, and who better to do so than on his little brother? There’s also the question of whether this particular plot point was even set to take place in Panama? If you recall, back in Uncharted 2 when the double-crossing Harry Flynn tries to persuade Nate to take part in a little museum bust in Istanbul, Nate at first objects, retorting “we both know two people who were killed trying to lift something out of this place”. Was Hennig’s plan for one of those people to be Sam? Whatever the job the brothers were on, it needn’t necessarily have to be related to Avery. It could have just been any old job after any old artefact gone wrong in order to establish Sam’s story, and another nice way to tie it in with a throwaway line from a past game. In either case, Sam would evidently find his way to freedom and confront his brother, keen on disrupting his married life with Elena, a life partly built up on one or two significant lies. “But you can’t outrun the past, and when it catches up, when all your lies collapse around you, I’ll be there, sifting through the wreckage. You owe me”. For whatever reasons, Sam needs and feels he’s deserving of Nate’s assistance, and if his little brother refuses to play ball, he could blackmail him, threatening to sabotage his marriage by revealing to Elena his true history, telling her his real name is not in fact Drake (as already teased by Uncharted 3 villainess Marlowe) and that he is his brother, a brother who has never been mentioned of before. Of course, Elena does eventually find out about Nate’s mysterious past and his family in A Thief’s End, but it comes from Nate himself when he’s caught out on yet another one of his lies rather than Sam, who doesn’t really want to cause any trouble between the two. But, barring some initial heartbreak, she ultimately understands his reasons and forgives him for his dishonesties. On the other hand, if in Hennig’s version the truth came from a Sam fuelled by anger, threatening to prise them apart, and who may very well have good reason to imply Nate shouldn’t be trusted (who knows what other dark secrets Hennig had in mind), would things work out so well between them? Nate and Elena’s relationship can be rocky at the best of times, and Sam opening up a whole closet full of skeletons might prove to be the tipping point, leaving Nate no choice but to cooperate. Then again, they’ve been through so much, having got together, split up, rekindled, got married, moved apart and then back together again, not to mention the numerous archaeological discoveries and near-death experiences they’ve shared (oh, and Chloe Frazer competing for Nate’s affections), is there anything their relationship can’t survive? They love each other, enough that Elena still might be able to look beyond her husband’s past misdeeds and mistruths, rendering Sam’s blackmail efforts ineffective in forcing Nate’s hand. If that be the case, Sam would have nothing left to hold over his brother, and that might force him to take more drastic measures in order to get his way. Would Sam make a threat on Elena’s life? Would Sam have the nerve to carry out that threat? A man on the edge with nothing to lose and a heap of treasure to gain, Nate had better believe he would, and so should we. Hennig has toyed with killing characters off in the past, having tried to fool us into thinking both Elena and Sully have bitten the dust in previous games (even Druckmann’s in on the act), so this time there would have to be no holding back. No one has to die, of course, but we would need to credibly believe someone may not make it out alive, something which I genuinely feared about during Uncharted 4’s third act. If Sam were to become entirely consumed by his rage for Nate – having spent fifteen years in prison, feeling betrayed by his brother, and jealous of his globetrotting escapades – taking Elena hostage might be his only play at getting back at him. It would also help cement him as an unforgettable and irredeemable villain. Uncharted has provided us with a classic line-up of baddies over the years, from nasty British mobsters, merciless Serbian warlords, and cunning clandestine leaders. 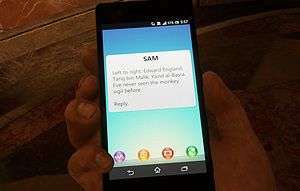 But having our hero’s own brother take centre stage as chief antagonist, who’s been pushed over the edge by what his sibling has done to him, would bring a much more personal and dramatic edge to encounters, and their relationship alone would help elevate Sam to the top of the series’ villain hierarchy. In the end, Nate might have little choice but to put Sam down once and for all, and, rather than the climactic showdown being Nate versus Rafe, it would be brother versus brother as the two go toe-to-toe in a swordfight aboard Avery’s ship as it and its cargo goes up in flames. It goes without saying that this is all pure speculation. Hennig would no doubt have something far more original, surprising and less predictable in store, but the truth is we may never know for sure. Ultimately, I’m more than happy with the version of Uncharted 4 we did finally get to play. I’m glad Sam didn’t come back from the dead with a vengeance, I’m glad Nate’s past wasn’t full of dark secrets, and I’m glad everyone who deserved it got their happy ending. Uncharted is over, and I don’t need to know how it might have happened differently. But I can’t forget about the months of speculation between that first teaser and the game’s release, and until someone breaks their silence, I’ll always be curious about this Thief’s alternative end. What's So Special About Games? Best of 2013: You're Playing It Wrong!